New Age Mama: Show off your cat pride with this new book from, The Quarto Group! Show off your cat pride with this new book from, The Quarto Group! Cats are one of my favorite animals! They're so independent and full of vigor. 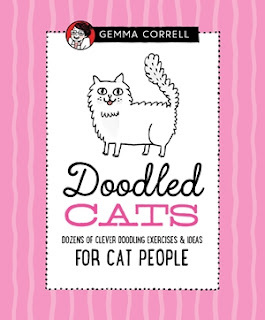 When I saw the adorable designs of Doodled Cats, I knew it would be a hit in my classroom (and for me personally). My students range from around 8 to 15 and this book has designs for all types of artistic levels from beginners to experienced. 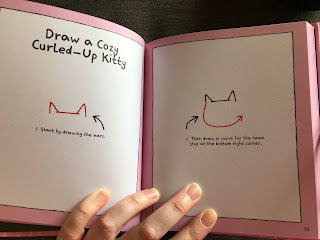 I loved the step by step guides to each design, as well as the cats designed as known figures in our society today. 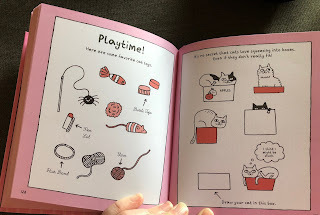 The other adorable aspect of this book is the cute little illustrations and stories. These can be fun to read or to try and recreate for your own customized designs. You can even add your own real life feline friend! If you're looking for a gift for your favorite cat lover or a fun activity book to enjoy, I highly recommend Doodled Cats!